If you enjoyed Kwaito music from the late 90s, early 2000s and the current House genre “Amapiano” this mix is for you. 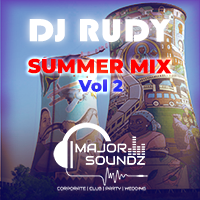 Not going to reveal the track list for this mix, you will need to listen to figure it out! Put together some of the best South Africa music that was rocking the dance floors across the country during the late 90s and early 2000s. Mixed it up with the House genre “Amapiano” that’s currently rocking Mzansi right now. Something to Get Your Festive Season Kick Started!! !